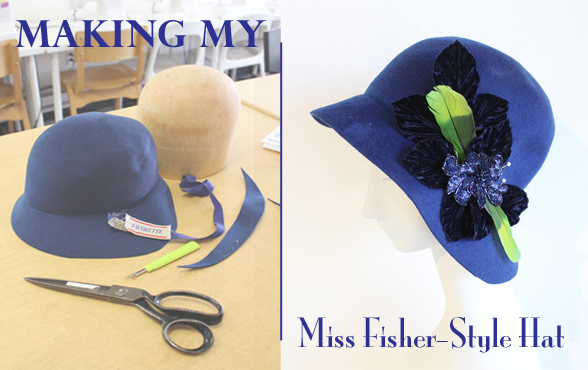 This was a fun and quick upcycle to create a 1920's style cloche like the ones that Miss Fisher wears in the series, Miss Fisher's Murder Mysteries. While not totally period correct, the style similar to some of the hats Phryne wears on the show, designed by Australian Milliner, Mandy Murphy. This outfit all began after a short trip around the corner to my local crafting consignment shop, where I found the amazing fabric for the blouse featured in this post. The print (Asian Art Deco?) was irresistible and there was just enough of it to scrape out a blouse. 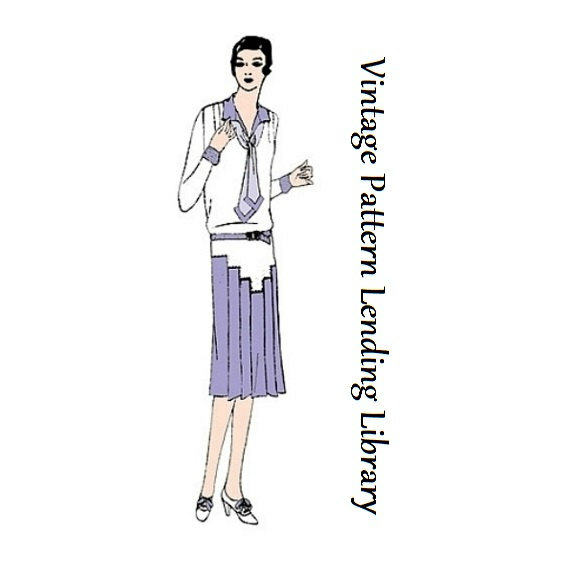 Next up was a search for the perfect 1930's blouse pattern. That proved to be a little easier said than done, as I had trouble finding a blouse pattern that suited the fabric. I did settle on a gorgeous 1930's dress pattern with a fabulous neck bow, that could be converted into a blouse and skirt. 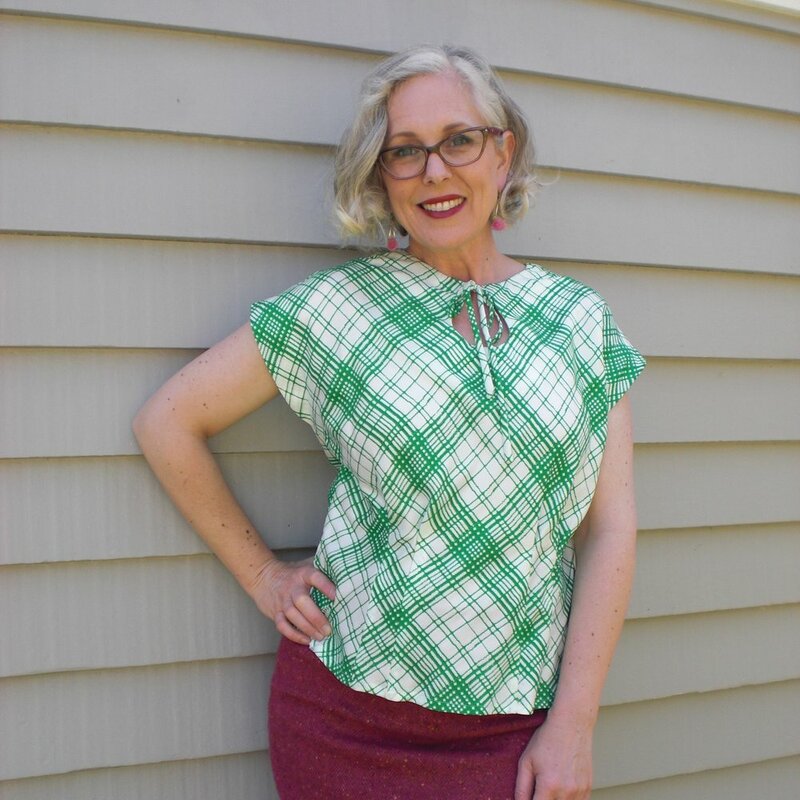 A 1920's Blouse Done 3 ways with One Vintage Dress Pattern - Miss Fisher Wardrobe or Bust! As part of my quest to build a "Miss Fisher" wardrobe, I've sewed up three little blouses inspired by separates her character wears in different episodes. This post will show you 3 blouses I have made, starting with one pattern and explain how you can do it too! Well, the day of the ball arrived and I was prepared! This year's theme was Death on The Nile (the Agatha Christie Murder Mystery) with a focus on Egyptian Revival of the Art Deco era. Designer Theresa LaQuey at Gatsby Summer Afternoon wearing a Vintage gown of her creation using vintage fabric. 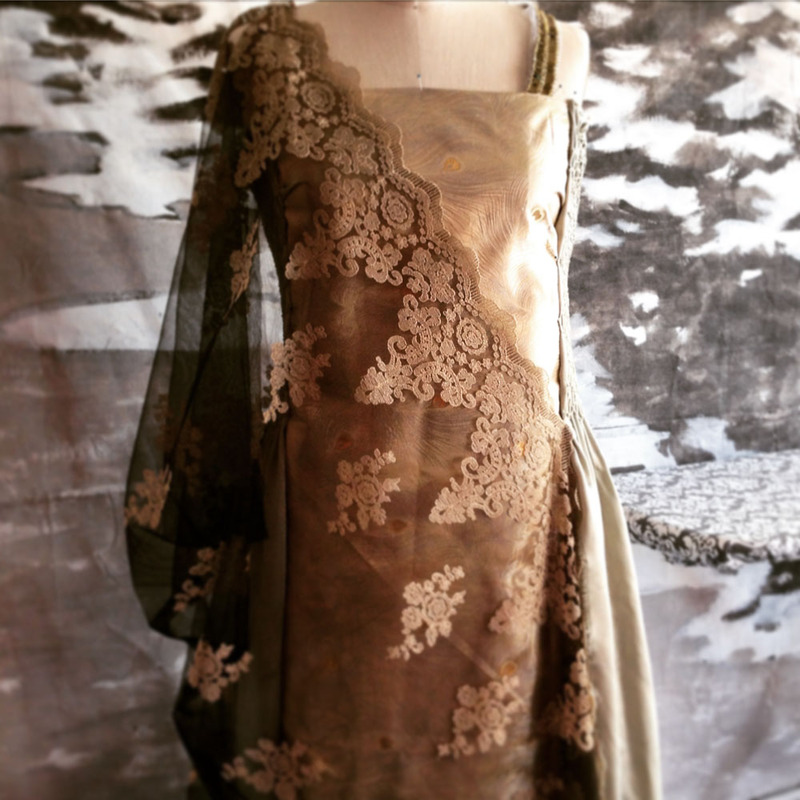 In preparation for draping my Art Deco Preservation Ball Gown, I reached out for a little advice and encouragement from Couture Vintage Clothing Designer, Theresa LaQuey. She has a wealth of knowledge, after spending many years creating beautiful bespoke creations for ladies with an eye for vintage style. Our Conversation is below. Additionally, we will be doing another giveaway this week. Theresa has generously given us an autographed copy of one of the Simplicity patterns that she designed. I'll do a random drawing of our email subscribers to see who wins! Gorgeous vintage style by Theresa LaQuey on the Red Carpet! Jennifer: Theresa, I'll likely drape a late 20's look in silk charmeuse and chiffon and will probably take a trip to Britex Fabrics for some pretty beaded appliques. A friend gave me a purple and yellow ombre length of silk, that I intend to use for the main part of dress. I think the purple yellow combo will be my ode to Egypt but maybe I'll do a fun head dress as well. I'm still in the planning stages. Do you have any advice as to how I should begin? Firstly, I so admire your thoughts on draping your gown. If I may make a recommendation, try to find the pattern making and draping book that was printed by the Women's Institute of Domestic Arts and Sciences, Scranton PA, published in 1928?? I think. When I was learning my trade, a dear fellow student gave me a xeroxed copy of that book. It made all sorts of dress making from the 1920s very plain and simple. Just geometry and physics. I would like to teach you to bead. I know the Tambour method. It takes about one hundred hours to learn it, and another couple of thousand hours to perfect it. But oh boy it is worth it. However, purchased appliqués can work. Just make sure they are soft, not stiff. Also, give a call to the Fashion Company in SF. They have carried appliqués and are very great. Be prepared to meet the minimum of $70. 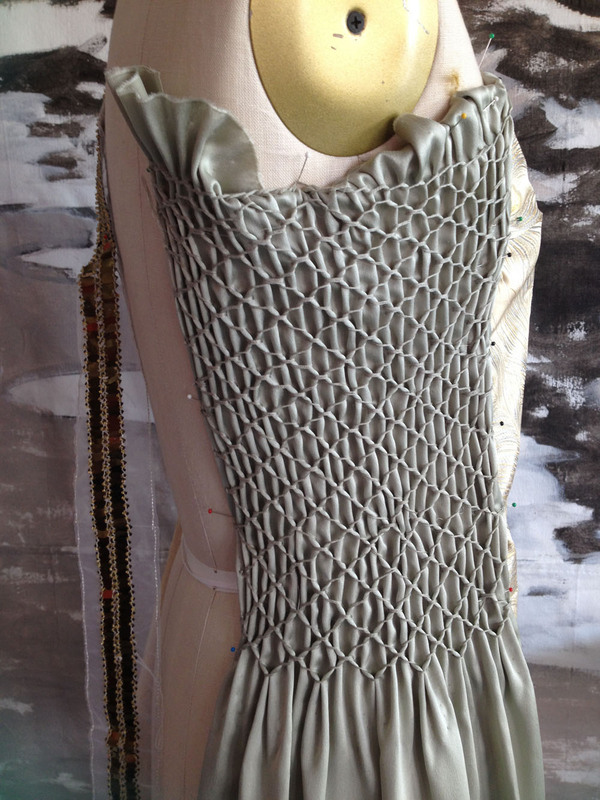 Jennifer: How & When & Where did you first begin studying bespoke sewing and couture design? Well, my mother was the costume designer at Diablo Valley College (DVC) and my whole family has been stitchers for at least 100 years. My mother was paid so poorly and because of that, I started hanging out in the costume department with my mom at age 5. (Later in life) I was in the punk scene and got married to the lead singer of the Dead Kennedys. He was a collector of vintage records. That’s when, I started collecting vintage patterns. After we broke up, I started the apparel design program at DVC. It was a fantastic program. If you want to get into design, don’t spend $30,000/year. Go to a community college. It’s an amazing experience. Then, in 1987, I ended up partnering with Mark Jones, making couture gowns and learning how to bead..
Our very first commission was a wedding gown was a replica from a movie Topper with Constance Bennett and Cary Grant. I had to have foot surgery and I spent my time, in bed with my feet up, beading that gown. 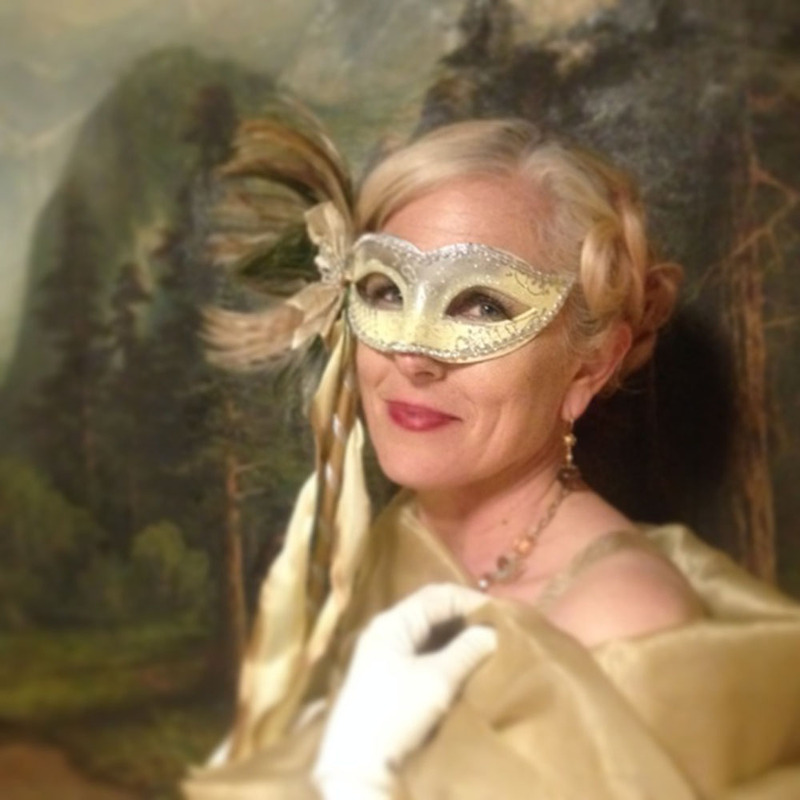 Jennifer: At the Art Deco Preservation Ball 2 Years ago, I was completely impressed with all the glamorous ladies walking around that evening, at the Oakland Scottish Rite. 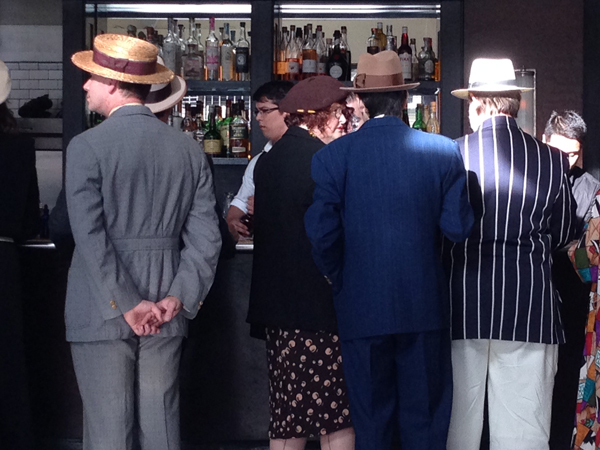 Each woman looked spot-on, and I thought for sure they were all wearing mint condition vintage. Then later that night you were honored with a special display of all the ladies wearing your gowns (I think there must have been over 30 ladies standing up near the stage) and nearly all of the gowns on display were the exquisite designs I had been admiring earlier . It was wonderful seeing the variety of designs you produced from the Art Deco Era and the 1930’s styling in particular. Is this your favorite era? Or just the one most on display? It’s my favorite era ever. I consider myself more of a mathematician than a designer. It sounds crazy but you are dealing with the geometry of stretch, when it comes to Bias. When you get into the 30’s they are really applying that “wonderful” of the 1920’s to the feminine form. One tip - Avoid Side seams. The 1930’s is my favorite (era) because it’s so unexpected. If you go in there like an explorer, you’ll learn a lot about making clothes. Jennifer: Are your couture gowns original designs, inspired by the era, do you use vintage patterns or a combination? A combination of both. We have a joke around the house that I’ve copied so many Adriens that we call them LaQuey-driens. I’ve done plenty of original designs as well. Mainly I do bespoke (gowns) only for friends, these days. 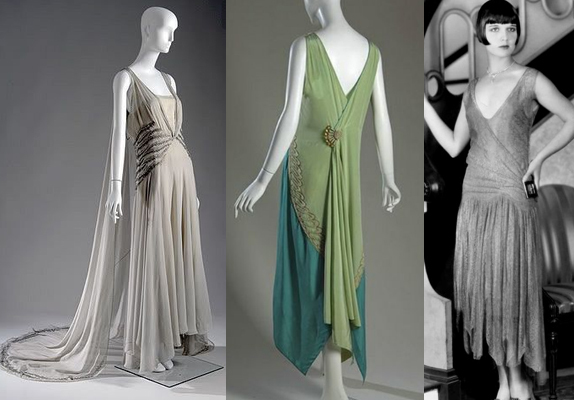 Jennifer: For this year’s preservation ball, I will be draping a gown in the late 1920’s style. When I made my gown two years ago, I made a corset to go under. The pattern was reproduced from a 1920’s pattern and had the perfect silhouette for the straight lines of my gown. I’m planning to do the same this year but for a dress that will have a little more shape appropriate to the later 1920’s. Did you ever make foundation garments for your gowns? Did you build foundations in the garment? I have built foundation garments into gowns but they are more 1950’s gowns. The thing about 30’s gowns especially, is that they should look like they were blown on to the body and just land there. 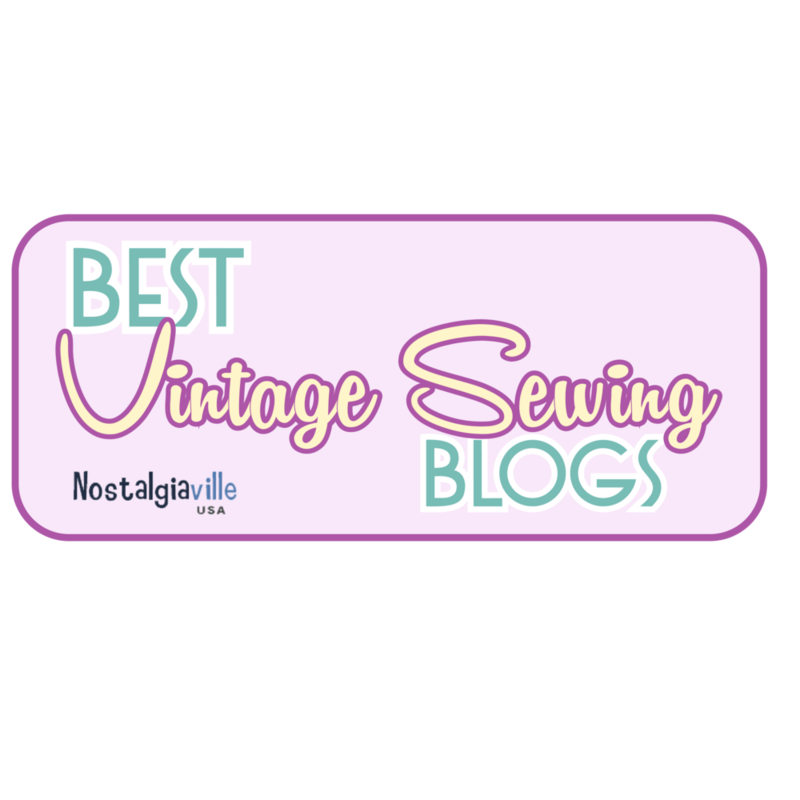 Jennifer: Do you have a favorite material to work with for vintage gowns? These ladies are incredible. The weight of the fabric is incredible. Then I have a supplier out of the east coast and Los Angeles - Eastern Silk Co. (trade only) they carry 4ply crepe and crepe back satin in 144 colors. C&J Textiles in NY - the fabric they carry for called Silk Vanity - The colors are gorgeous. I’m working on another gown this month in this fabric. Jennifer: Along the same lines, do you have a favorite gown that you’ve made? Who did you make it for? Would you describe it for us or do you have a photo? I do - Do you know of Mr. Pear? I worked with Mr. Pearl last year and we did a dress together for a burlesque artist. From my own projects I would have to say the Chanel Fireworks dress. It was so hard. All beaded. Black Chiffon with poly-chromatic sequins. Every time you have to knot off each sequin individually. It’s a beautiful evening gown. The woman who wore it is incredibly elegant. Jennifer: You always look so fantastic when I see you at Art Deco events. Do you dress in Vintage everyday? I do not wear modern clothing. Most of the time I spend in trousers and a turtleneck. I used to wear beautiful clothing but it always gets ruined. I do not wear makeup either. I have a pattern for some vintage trousers and have made up about 6 pairs of them. 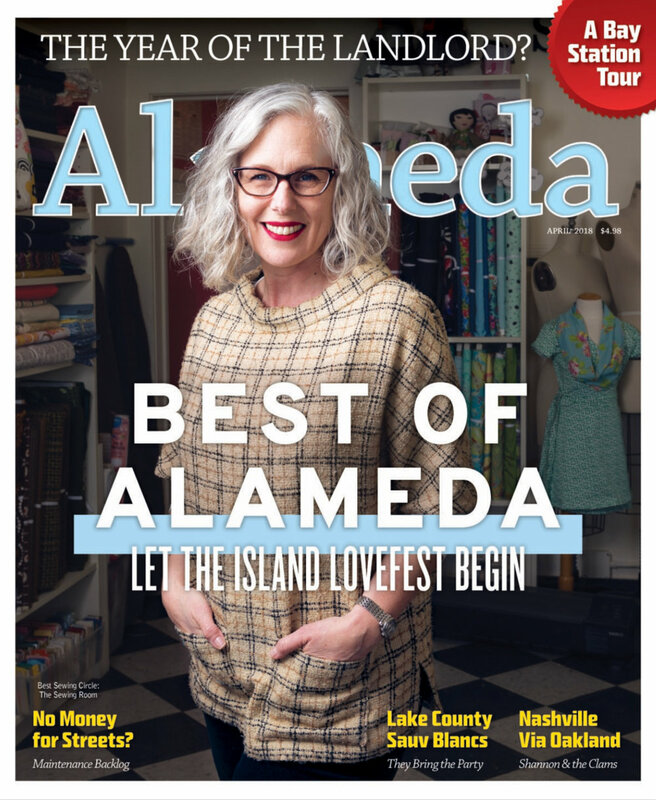 The woman on the cover of the pattern, is standing there, roasting a weenie. I wear turtle necks in the winter and the rest of the time I wear “The Blouse” which is made from a 1930’s pattern. Jennifer: After seeing your beautiful couture work for years, I found out that you make sewing patterns as well. What kind of patterns do you specialize in? And where can we buy them? Simplicity patterns. My sister is Andrea Schewe and she got me the job. She was designing for Simplicity. It’s so crazy. I have 3 sisters. Andrea is 10 years older than me and our older sister convinced her to go to NY. I went to celebrate my sister's wedding anniversary and Andrea told me to bring my portfolio. I sat down, with Simplicity Patterns, and they looked through my portfolio and they asked me “ What could you do for us?” I did a swing skirt. I made it up. It ended up selling 25,000 copies. Then, I got assigned Steampunk. I had just done a Steampunk wedding and was so grateful. I became top designer at Simplicity afterward. That means your pattern is outselling everything else. My sister has been top designer as well. Jennifer: Thank you so much for giving this interview and for generous giveaway of an autographed pattern! Finding out more about you and hearing all your sage advice has been priceless! YOU can find out more about Theresa and see more photos of her exquisite creations by visiting her Facebook Page. After I interviewed Sewing Blogger and Hat Enthusiast, Chuleenan Svetvilas, I asked her if she would meet me at Lacis to help with some of my millinery choices. We met inside (where I as already busy picking out boning for my foundation garment) and then did the tour of the Millinery section. Dresses from the late 1920's that show the silhouette of the times (from my Pinterest board). As a special treat this week, I'm giving away a fantastic book from my collection - Vintage Lingerie - 30 Patterns based on period garments plus finishing techniques. I'll pick one lucky reader from our email list, so you have to be a subscriber to win! FUN TIMES AT THE ART DECO PRESERVATION BALL! The Gown is almost finished. just need to add a little sequined detail at the shoulder and Waist. 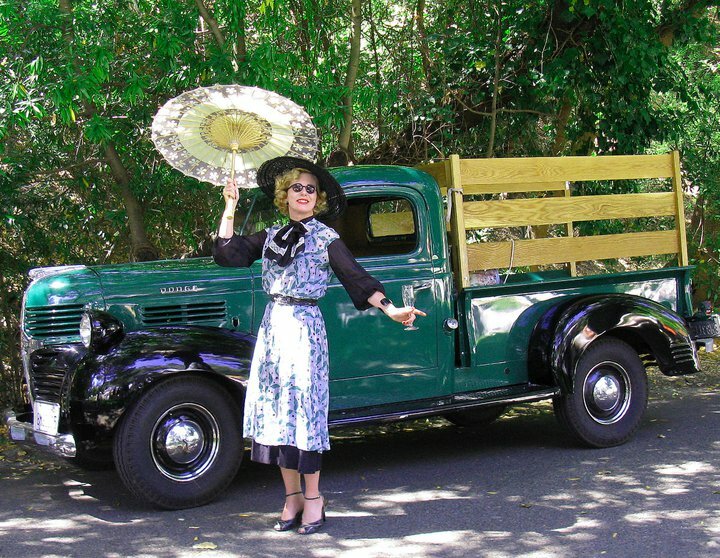 Every year in May the Art Deco Society of California puts on an amazing Soiree in an authentic Art Deco Setting. This year the Preservation Ball was at the Scottish Rite Center in Downtown Oakland, right across the street from Lake Merit. One of my favorite things to do when creating something like this, is to use materials i have on hand. Luckily, I had some lovely silk hanging around. I did NOT however, have large pieces of anything in particular. This incredible gold color peacock pattern silk jacquard was the only fancy fabric I had enough yardage to start with. It also coordinates very well with my gold art deco t-strap shoes, so it was an obvious pick. A friend had given me an amazing piece of green and gold lace. There was only about a yard of it, but combined with the gold peacock silk and a lighter green washed silk, the assortment of fabrics really worked. Here are some photos of my dress in progress.